A lot of people are wondering what’s happening with the New Zealand Association of Registered Hairdressers – NZARH. Images Magazine thought, that’s a really great question to ask, so they put it to the NZARH Executive Committee at a recent meeting, and were surprised, excited and delighted to hear about their future plans. 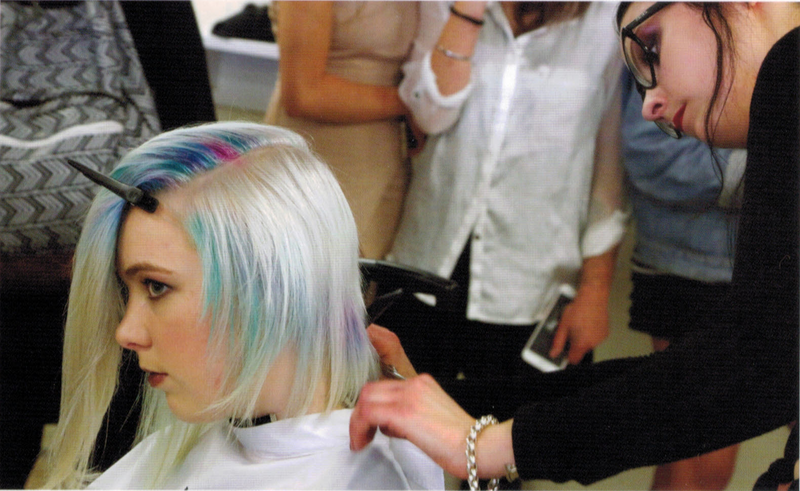 NZARH sets standards for salons and represents the professional hairdressing and barbering industry nationally. Its members are salons, barbershops, product companies and associated industry members who have united to ensure that operational standards are high; career interest and recruitment improves; and the Government recognises and responds to unique industry issues. NZARH exists to be the voice of industry, connecting all industry stakeholders and elevating business and hairdressing/barbering skills. Some of the major initiatives currently underway are the combining of all the regions under one nationally run organisation. Until now, each region has had its own regional association and committee. Being run from a national level will allow NZARH to align with all member salons in a consistent and uniform manner and deliver much more value. This change is expected to be ratified at a Special General Meeting in September this year. Another benefit of membership is the ability of the Association and its partners to wield significant political influence than that of individual members alone. When you join the organisation, you can tap the group’s political clout and resources. NZARH continues to focus on developing key strategic partnerships with industry relevant companies and organisations. For example, they are currently working on a co-shared web based resource centre with the Australian Hair Council (AHC) to provide joint resources for members to download and utilise in order to improve and grow their businesses and understand legal obligations etc. Creative partnerships with suppliers, retailers and HITO are continually being developed which gives a better quality of benefits for members – for example, members can join Air New Zealand’s Koru Club and save $155! Another valuable benefit is the negotiated rate through the aftermarket finance company PartPay with an exclusive rate and NO OTHER FEES, just for NZARH members. There are many others, including Images Magazine which provides NZARH members their annual subscription for just $35.00. An often overlooked benefit of an Association like NZARH is the personal support factor and benefits from the networking opportunities available. By joining NZARH you can make valuable professional contacts and get access to a wealth of information. You can deepen your existing business relationships and forge new contacts regularly at networking and educational events where you can make lasting ties with other professionals in the trade who have common interests or similar concerns. These relationships are mostly rich, and an ongoing source of ideas and inspiration. It’s fair to say there’s still a lot of work to do, but with an Executive Committee dedicated to providing tremendous value to its members, NZARH is certainly poised to make a significant difference into the future for every registered member. Many people don’t realise that they can take advantage of the association’s many benefits and resources for about $60 (or less) a month – that’s less than the current price of most cuts and blow waves!